The start to the new year means that trade show season is almost upon us. 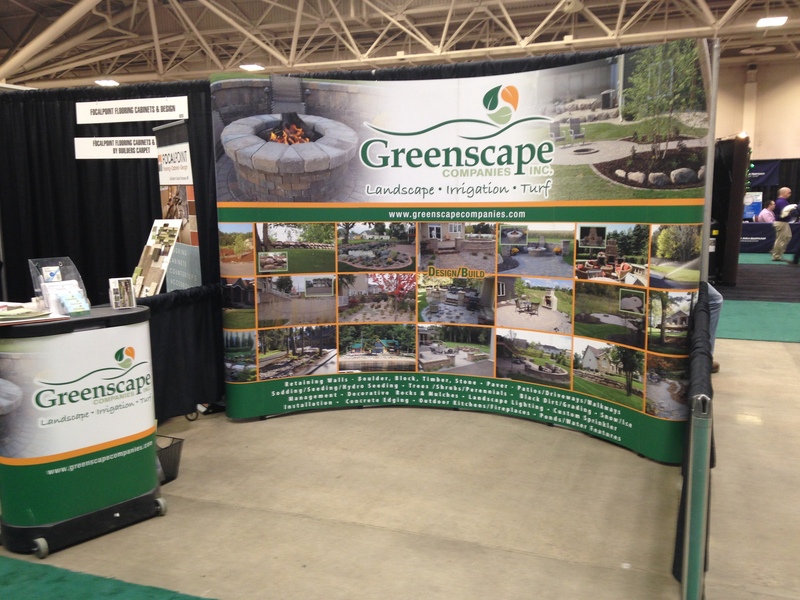 These shows allow Greenscape to interact with past, current, and potential new clients for the upcoming season. Here is a full list of the trade shows Greenscape will be attending this season. Make sure to stop by the booth! Northern Green Expo – Minneapolis Convention Center – January 13-15 – #523 (Green Turf Booth) – More information click here. Minneapolis Lake Home and Cabin Show – Minneapolis Convention Center – February 19-21 – More information click here. Minneapolis Home + Garden Show – Minneapolis Convention Center – February 26-28, March 4-6 – More information click here. Builders & Remodelers Show – Minneapolis Convention Center – April 7 – More information click here. Plymouth Home Expo – Plymouth Fieldhouse – April 8,9 – More information click here. Red River Valley Home and Garden Show – Fargo Dome – February 26-28 – More information click here. The Greenscape crew is wrapping up the final homes for the 2015 Fall Parade of Homes Showcase. 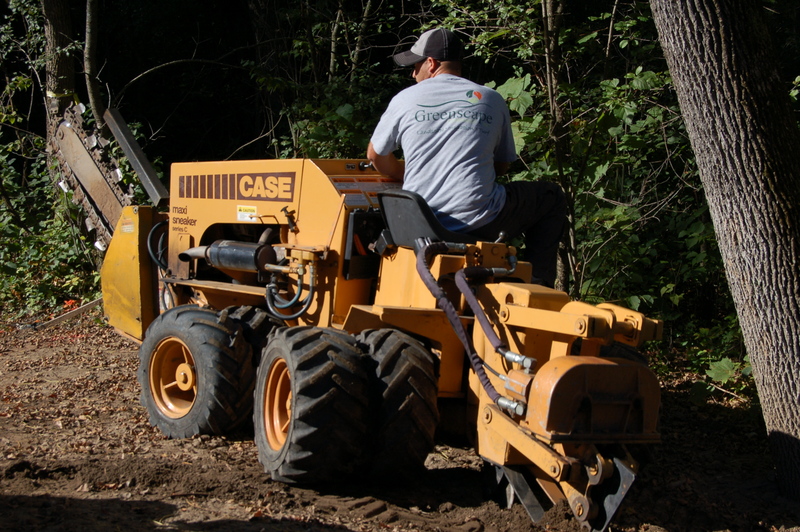 The crew was hard at work today in the Black Cherry preserve in Big Lake, MN. NIH Homes is introducing their new model and floor plan. For Greenscape these showcase events allow us to preview what we offer as a basic landscape package for new construction homes. 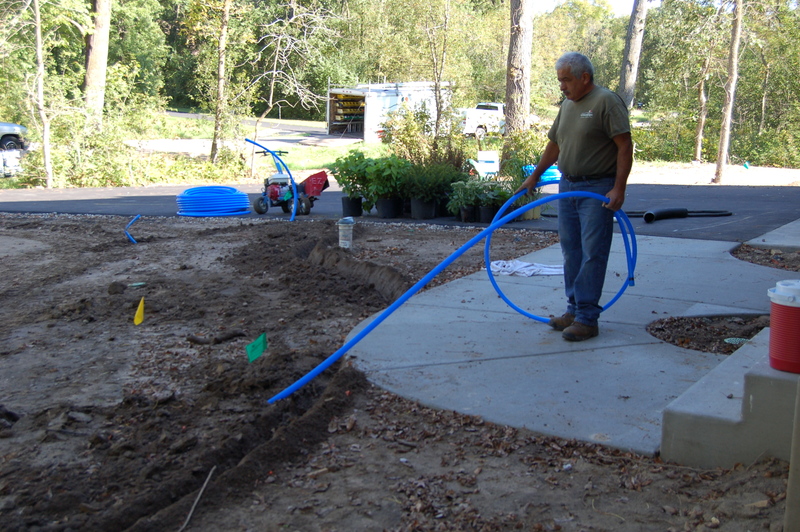 When we say “basic” that means trees, shrubs, perennials, edging, landscape rock/mulch, a Hunter irrigation system and sod. The sod is provided by Greenscape’s sister company Green Turf Sod located in Princeton, MN. With the extensive amount of experience the Greenscape crews have, all this work can be done in just one to two days total. Just one of the advantages of having a contractor that can do everything in house. 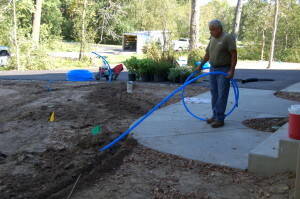 With the exception of a few services, Greenscape can provide every facet of the landscaping portion of a property. 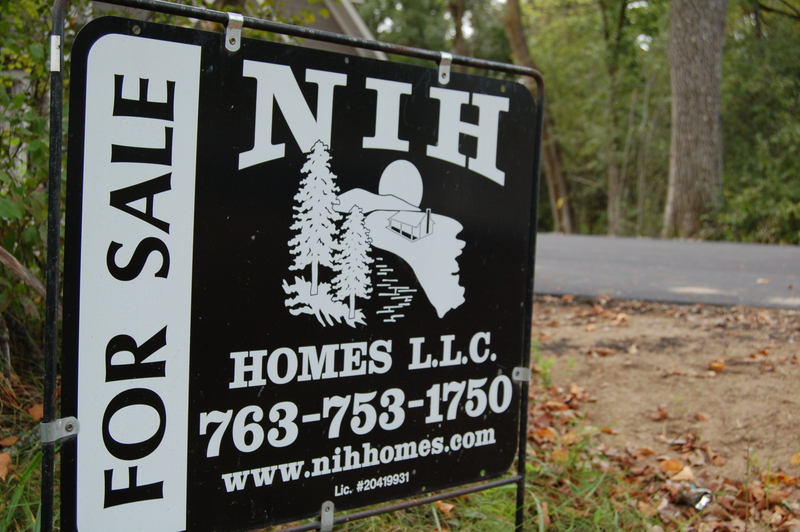 Greenscape has been privileged to have worked with NIH for several years. Taking care of their customers’ landscaping needs has been excellent to say the least. The Greenscape crews are now like a well-oiled machine getting these houses completed and looking top notch for all the potential homeowners. If you are including Big Lake as one of your potential stops in your Parade of Homes tour, I encourage you to not only take a stroll through the beautiful inside, but also take a gander at the quality of work Greenscape can provide for your new home. Annually, before the glaciers start to form again in Minnesota and North Dakota, the ceremonial “Blow out” is the prerogative for all sprinkler systems in areas located where the frost level goes below the depth of the irrigation lines. For those of you who are confident in your own abilities to winterize your sprinkler system, the rule of thumb is you should always leave it up to the professionals. Even if you think you squeezed every little drop of water out of that funny pipe, some water remains and can reek havoc on a system by freezing and expanding. 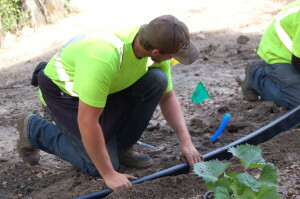 In a few weeks Greenscape will be starting to schedule irrigation system blow outs. Greenscape will make sure that your system if safe from the risk of freeze damage, and is ready for a start up the following spring. To schedule your winterization please call our office at 763-441-2141, or submit a form on our website and we will contact you directly. Put those extra layers on, gas up the snow blower, and get ready for the fluffy stuff because winter is now in full effect. For those of you who wonder what landscaping companies do in the winter I am here to clear up all your questions. If you think about it, most companies have their busy seasons, and their not so busy seasons. Most landscape contractors like Greenscape don’t take a break from fine tuning things for the upcoming spring. Whether that is adding that extra employee, or buying that one piece of extra equipment. Is your current snow removal company just not cutting it? We can certainly relieve that stress. Please call the Greenscape office today to set up an appointment for a free snow removal estimate. How nice would it be to come home after work to a clean driveway after a big snow storm? Greenscape can make this happen by handling all your snow removal needs. All of our services can be done on an individual need basis or through a snow removal management plan with our company. Our extensive fleet of equipment allows our snow removal services to be cost effective and efficient, while providing the highest standard of professional snow removal services.. The best time to design your yard is in the winter when there is more time and no sense of urgency to get it finalized. Lets face it, in Minnesota and North Dakota we only have a few months of nice weather to enjoy, so why waste it by scrambling to get your landscape plans done when you could be enjoying your new yard? So please call the Greenscape office and set up an appointment with one of our landscape design professionals. We do free estimates and there are absolutely no strings attached. Feel free to stop by our booth and say hello! 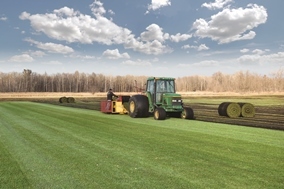 The Greenscape team has been hard at work at Green Turf Sod Farm harvesting the new sod that has been growing over the past couple months, and we are ready to plant it in your lawn! Though sod can be installed at almost any time of year, the best time to lay sod is in the late summer or early fall when the temperatures are cooler but grass continues to grow. The farm grows Kentucky Bluegrass (poa pratensis), which is a lush, barefoot-friendly, dark green grass that is resistant to cooler weather and drought. 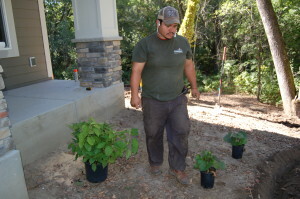 This division of Greenscape allows us to eliminate the middleman that other landscaping companies must pass through, to offer highly competitive pricing and premium quality. 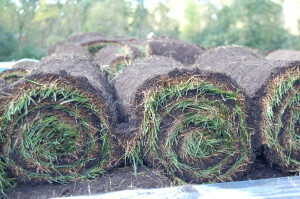 Greenscape can install the sod for you, or if you are up for the job, you can also install yourself. 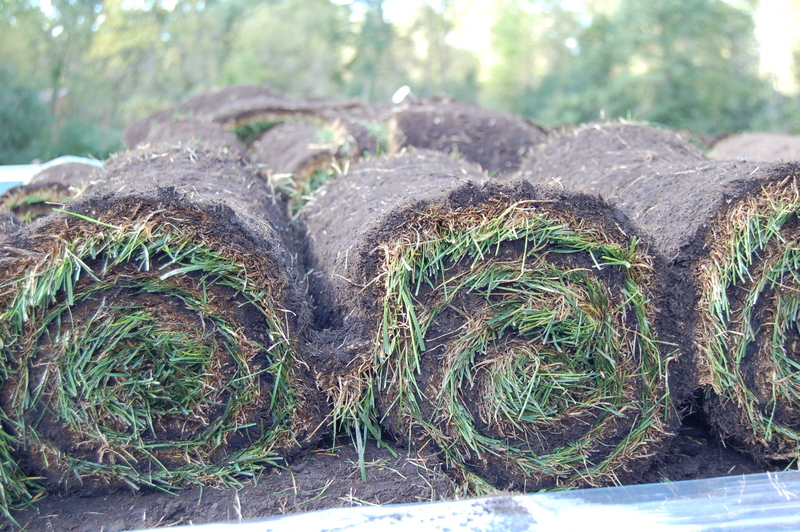 You can pick up the sod directly OR Greenscape will deliver it for you and strategically place the pallets around your yard for minimal lifting and relocating. If you look out your windows at home, wishing you had a lush green lawn, now is the time to act. 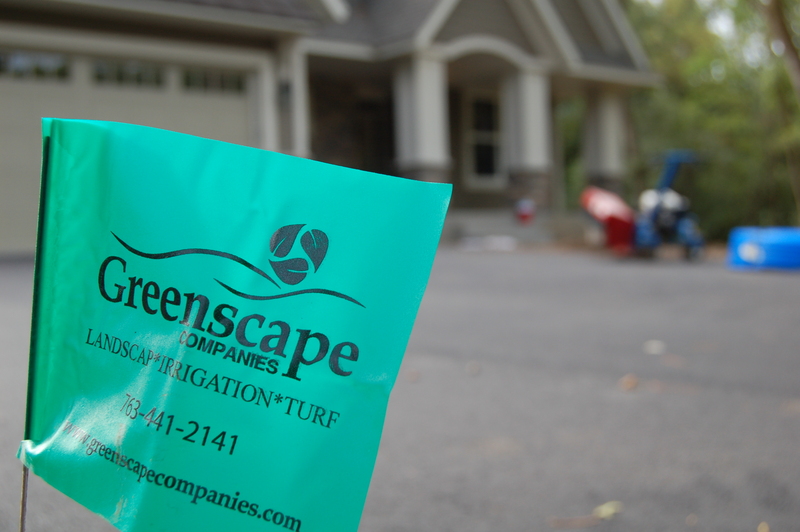 Contact Greenscape Companies today!